BOXROX, Rich Froning and Chris Hinshaw recently got together in Berlin and chatted through all things CrossFit. 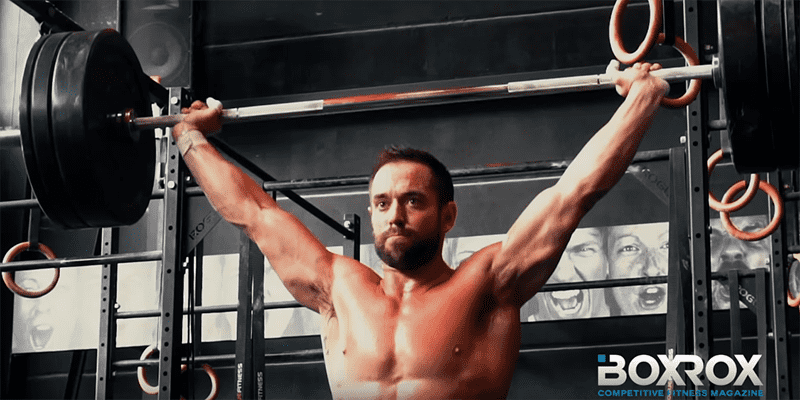 CrossFit legend Rich Froning and top CrossFit Coach Chris Hinshaw recently toured through Europe, delivering seminars and intensive training sessions for athletes that wanted to take their performance to the next level. BOXROX caught up with them in Berlin. Both Rich and Chris are humble, down to earth guys with tremendous passion and dedication for what they do. Check out Part 3, and stay tuned for this extensive series of in depth interviews. It will show the human side of these two titans within CrossFit, whilst also giving you many chances and tips to learn from two of the best individuals in the game. Rich discuses the future of the sport of fitness. Recognizable by the tattoo of Galatians 6:14 scrawled from his left armpit to his hip, Rich Froning Jr. was dubbed the Fittest Man in History after winning four back-to-back individual CrossFit Games championships (2011-2014). Seemingly unbeatable, he also won the worldwide Open for three consecutive years (2012-2014), and when he retired from individual competition after the 2014 season, he captained his affiliate’s team, CrossFit Mayhem Freedom, to two back-to-back Affiliate Cup championships in 2015 and 2016. After a disappointing (his own words) second place finish at the 2017 CrossFit Games in the team division, he then went on to reclaim victory and the top spot in 2018. He is THE Endurance coach for the Crossfit community, working with athletes such as Mat Fraser, Katrin Davidsdottir, Rich Froning and Camille Leblanc-Bazinet among many others. All videos were shot and created by Matt Melling. The location for the shooting, training and interview took place at Myleo CrossFit in Berlin.